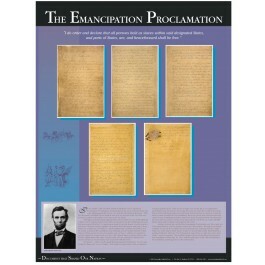 This educational poster features photos of the five pages that comprise the original Emancipation Proclamation. It also highlights the most important quote from the document, and contains informative text explaining its history and significance. 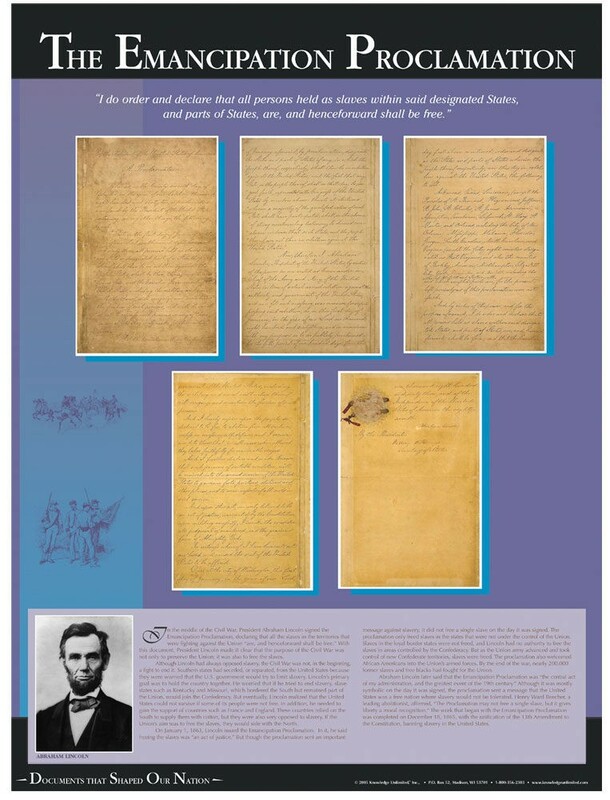 With the signing of the Emancipation Proclamation, Abraham Lincoln declared that all the slaves in territories that were fighting against the Union "are, and henceforward, shall be free." While the document itself did not free all slaves, it laid the moral groundwork for the 13th Amendment, passed two years later, which banned slavery in the U.S. Lincoln later called the Emancipation Proclamation the "central act of my presidency, and the greatest event of the 19th century."